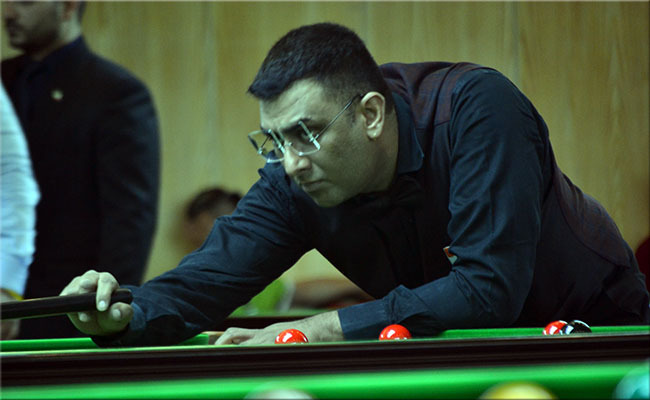 Player from Qatar, Ahmed Saif, faced a massive break of 64 points from Ishpreet Chadha of India in the opening frame of 6Red event today morning but that did not bother him at all and he come ahead in next frames with more force and defeated Chadha. He took his opponent’s break as a challenge and showered three breaks in next frames to clinch the match 4-1. He crafted 30 points break in second frame, 33 in third and 46 in final frame to close the match proceedings. Though Ispreet had some chance in fourth frame that went close but he failed to capitalize the chance he had and lost on black ball. Meanwhile Indian player Dharminder Singh Lilly equals the highest break of the Masters Team competition by crafting 104, same as Chuchart Trairatnapradit of Thailand set two days before. Lilly made this break in second frame of the match against Mohammed Alotaibi of Saudi Arabia. Later the Team India-1 won the match 4-1.